General history: Records of Curly horses date as far back as 161 AD where they were depicted in Chinese Art and Statuary. However, the origin of the breed is still an unsolved mystery but the field seems to be narrowing. 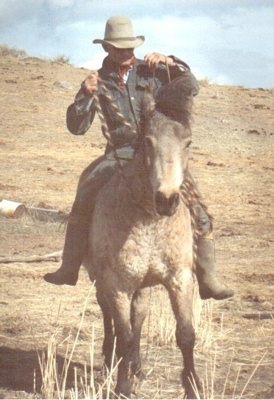 Research into the Russian origin of Curly horses suggests that while there is a line of Curly horses found in the Khyber Pass area , there is no known record of these horses having been imported into North America. Extensive research into ships logs pertaining to the immigration of Russian settlers along the west coast of North America show no Curly horses. 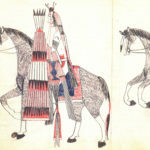 (Shan Thomas author, “The Curly Horse in America – Myth and Mystery”) Another theory that believes they may have crossed a land bridge neglects the reality that there were no “horses” on the North American continent once the ice ages passed. 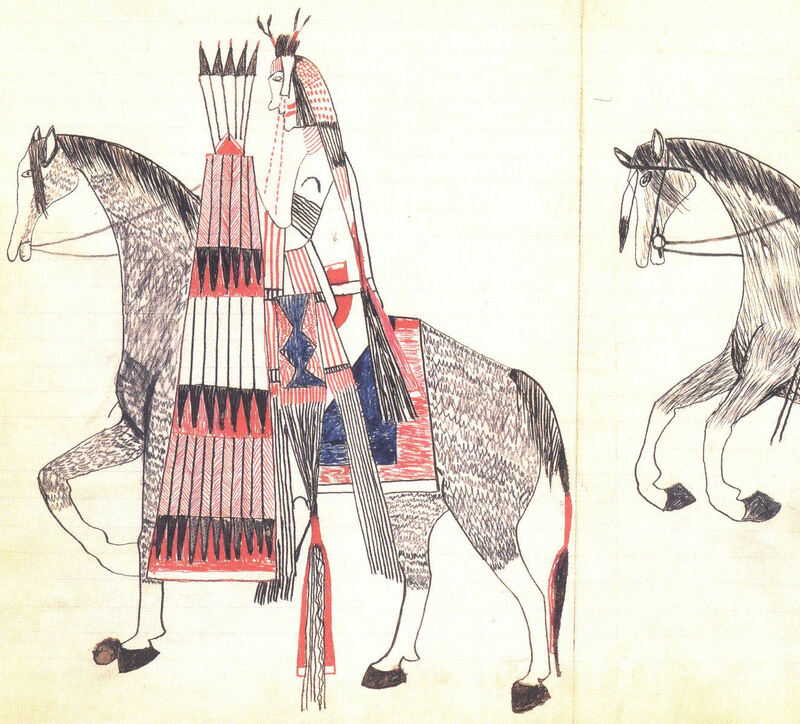 In the winter records of the Sioux in 1801 – 1802 , the Sioux noted they stole the Curly “buffalo” horses from the Crow. Recent genetic testing on 200 horses done at UC-Davis’ serology lab indicates the breed has the unique genetic distinction found only in feral horses or those breeds with feral origins. This data seems to support that they are a natural genetic adaptation against extreme climates. Our Curly horses originated from feral herds in Wyoming. Whatever the history and origin, the breed displays unique, specific and uniform traits. These traits include an ability to over-winter where other breeds fail. This ability was dramatically demonstrated after a particularly harsh winter in the early half of the 20th century. 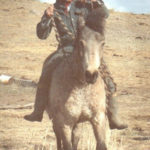 Historical records indicate that in the spring following an extra harsh winter on the Nevada range, the only horses to survive the weather without supplemental food were Curlies. The Damele family, a Nevada ranch family, noted this and proceeded to incorporate these Curly lines in their herds. They soon discovered other hidden benefits to the breed. These benefits exhibit themselves without fail in Curlies whether they have the characteristic curls or are smooth coated. One such trait is the breeds reputed hypoallergenic nature. This characteristic allows horse lovers who suffer from allergies to enjoy the breed’s company without suffering runny noses and itchy eyes. Traits: Curlies are sensitive, curious, wise, gentle horses. They have the strength of character and bone to perform well under all circumstances. They prefer to face fear rather than run from it making them the perfect horse for loud, confusing situations such as parades, shows and shooting competitions. Perhaps their most unique characteristic is that they are hypoallergenic; therefore, they tend to be less reactive for persons with allergies. Disciplines: Curly horses have begun to excel in sporting events ranging from Gymkahana events to English equitation to western pleasure. We have found them to be versatile and unflappable. We have used them as Cowboy Shooting mounts, trail horses and draft horses.